Summer will be in full swing for this event and we are going to celebrate by bringing you an amazing musician for our Master Craftsman Series - Jessie Bridges! 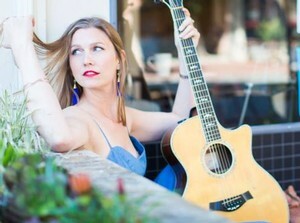 We are featuring a cool gal at the tasting room, Jessie Bridges an Indie/Folk Singer-songwriter. Jessie will give an in-depth music session with performing her songs and a Q&A discussion to learn more about her as an artist and person. To top it off, Jessie's favorite food are tacos and we are having Napa's favorite taco food truck at the tasting room.